Donald Trump&apos;s former campaign chairman Paul Manafort is preparing to plead guilty in a Washington court to avoid a second trial over further criminal charges. Prosecutors filed new charging documents against Manafort which contained a criminal information, a document that can only be filed with a defendant&apos;s consent and typically signals a deal has been reached. Manafort is expected to appear in court later Friday morning (local time). The allegations do not involve his work with the Trump campaign. It is not clear whether any agreement with prosecutors would require him to cooperate with special counsel Robert Mueller&apos;s ongoing investigation into possible coordination between the Trump campaign and Russia. Manafort was facing a second trial set to begin on Monday on charges related to Ukrainian political consulting work, including failing to register as a foreign agent. It&apos;s unclear how the possible deal might affect Manafort&apos;s pursuit of a pardon from President Donald Trump. The president has signalled that he&apos;s sympathetic to Manafort&apos;s cause, and in comments to Politico, his attorney-spokesman Rudy Giuliani said a plea without a cooperation agreement wouldn&apos;t foreclose the possibility of a pardon. At the time of Mr Gates&apos; plea, Manafort issued a statement saying he "had hoped and expected my business colleague would have had the strength to continue the battle to prove our innocence." And during his Virginia trial in August, Manafort&apos;s lawyers spent considerable time painting Mr Gates as a liar, embezzler, philanderer and turncoat who would say anything to get a lighter prison sentence. 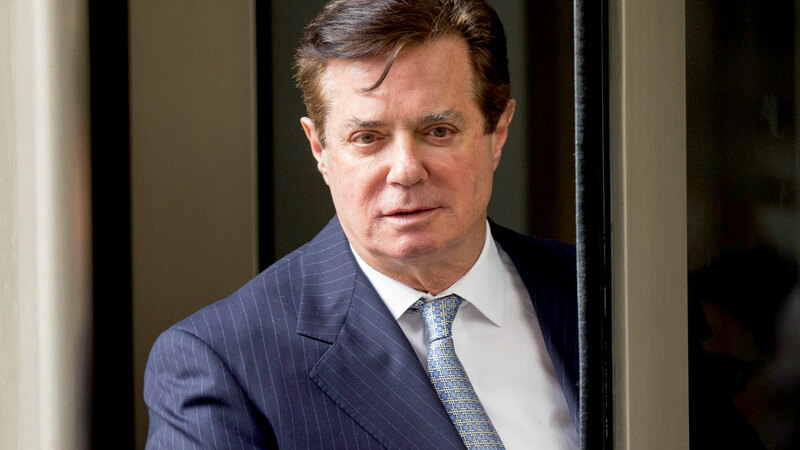 If he pleads guilty, Manafort would avoid a trial that was expected to last at least three weeks and posed the potential of adding years onto the seven to 10 years he is already facing under federal sentencing guidelines from his conviction in Virginia. In the Washington case, prosecutors were set to lay out in great detail Manafort&apos;s political consulting and lobbying work on behalf of former Ukrainian President Viktor Yanukovych and the pro-Russian Party of Regions. Manafort had denied the allegations and pleaded not guilty. Even after his indictment last October, though, prosecutors say he continued to commit crimes by tampering with witnesses. The discovery of his witness contacts led to a superseding indictment in June and Manafort&apos;s jailing ahead of his trial. In addition to the witness tampering counts, Manafort had been formally charged with acting as an unregistered foreign agent, conspiring to launder money and lying to the FBI and Justice Department about the nature of his work. Court papers filed in the case indicated that he could have faced between 15 and 19 and-a-half years in prison under federal guidelines.